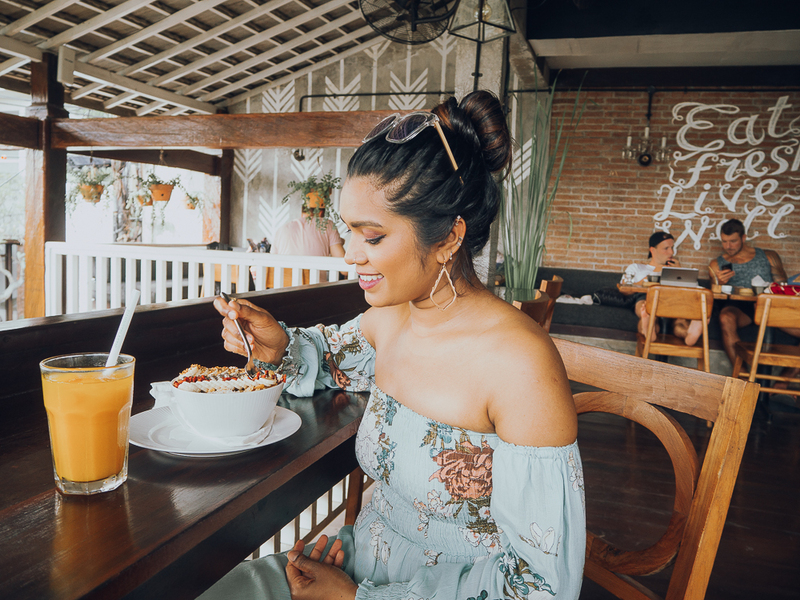 Eating in Bali = Entering Culinary Heaven! 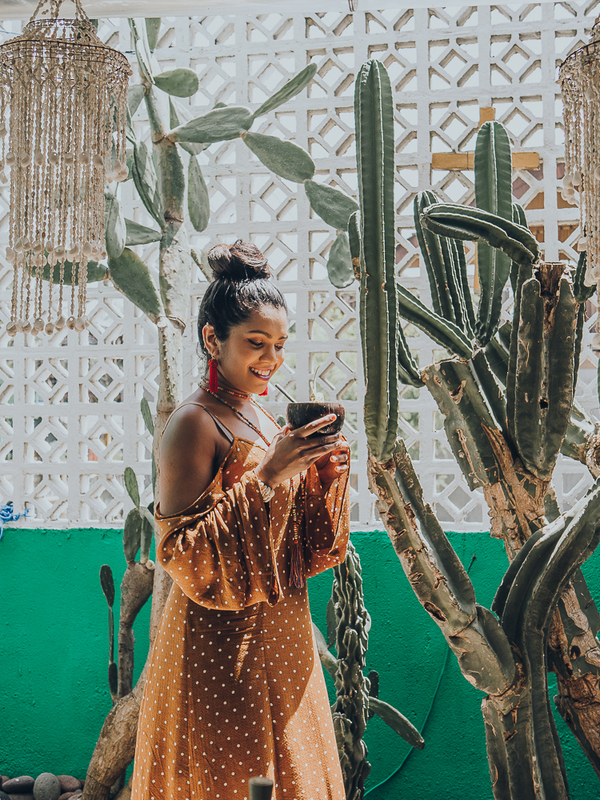 And Bali + Food = Instagrammers Dreamland!!! 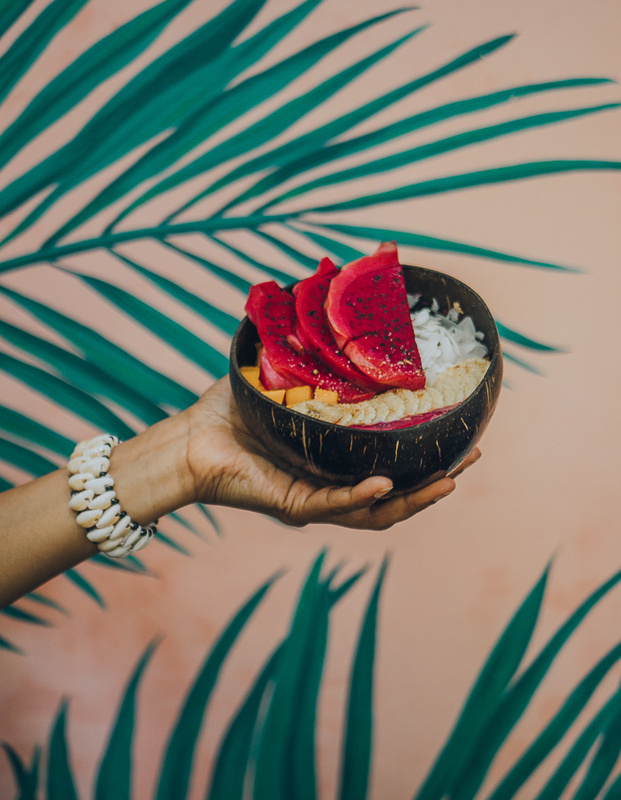 For starters, Bali has two distinct food scenes (and I highly recommend that you give them both a try)... One, the extremely authentic Balinese food - think Nasi Goreng, Mei Goreng, Sambal Matah, or Gado Gado, and the other, modern, hip and mostly heart-healthy delicacies - all the acai bowls, smoothies, superfood salads, or kombucha that you can get your hands on (and then of course, everything else in between - pastas, tacos, and the likes). Each place more chic than the other, and their food presentation better than the previous, which also means more time spent snapping innumerable insta-worthy pics ;) It was pleasantly surprising to see that every restaurant/cafe we tried did a great job at making whatever they specialized in. WARUNG UME ANYAR (IN SIDEMAN): Vinay gets all the credit for this one cuz he found it. The restaurant was on our way from the airport to Beisakh temple (we waste no time! can you tell? :)), and it was a perfect introduction to Bali and what lied ahead of us, i.e. 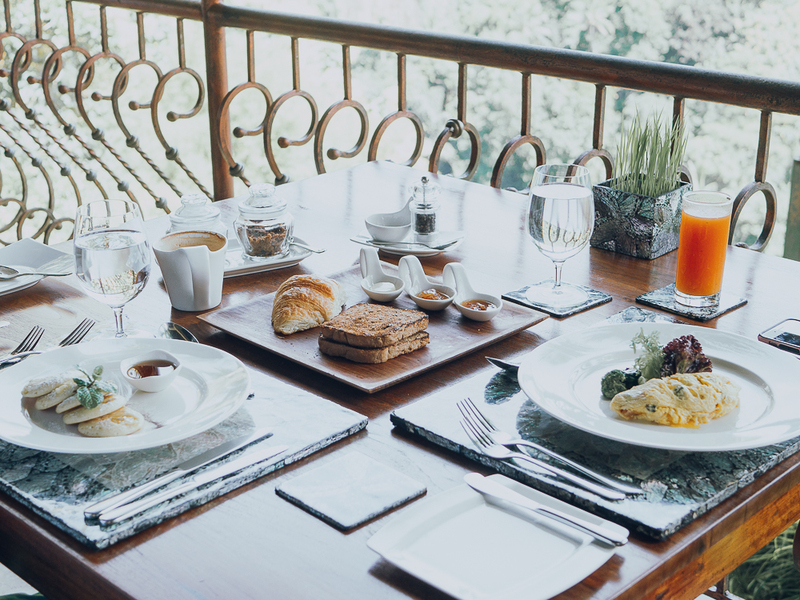 food-with-a-view and mouthwatering delicacies. 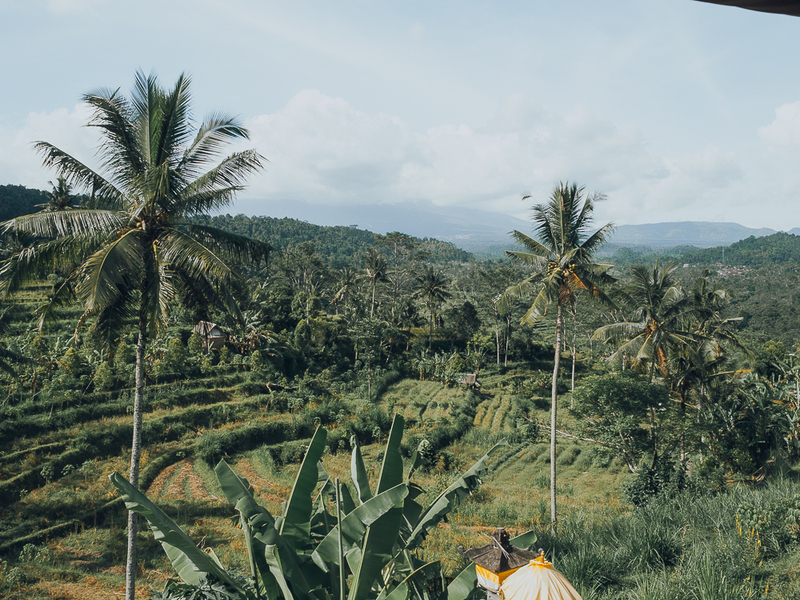 It’s a family run small restaurant with a stunning view of the rice terraces and we got to taste some of the most authentic Balinese food for the first time. WIJAYA KUSUMA RESTAURANT (NEAR UBUD): It is the restaurant at Ayung Resort & Spa, the place we stayed at in Ubud. Firstly, the restaurant shares my name (glee!). 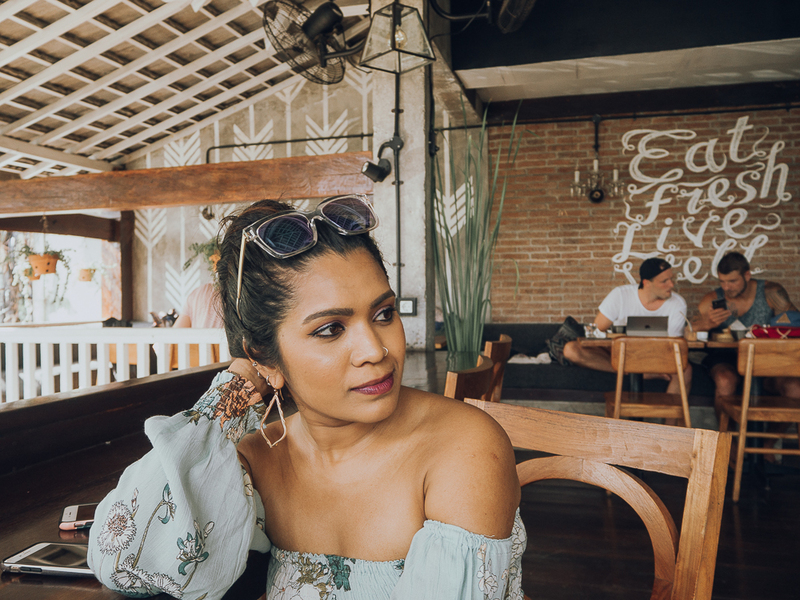 Secondly, every.single.meal we had here, Balinese or International, was absolutely delectable and we kept going back for more. 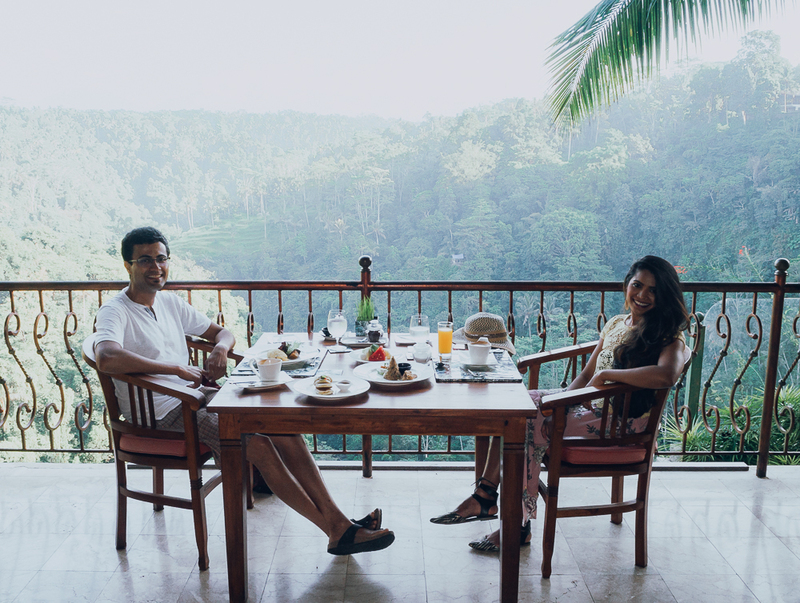 And thirdly, each meal was accompanied by a million dollar view of the rice field terraces, the lush green forests, the Ayung river, and the Agung mountain. Highly recommend going to the restaurant even if you did not stay at the resort. Read more about our entire experience here. This pic does NO justice to how gorgeous the reality was, no kidding! BEBEK PURI SULING (NEAR GOA GAJAH): We happened upon this restaurant because we were way too hungry, and our driver said that there is a nice restaurant right next to the temple. We spent at least 45 mins waiting for our order to arrive, but it was so worth it because it gave us a much-needed break in our jam-packed day, and the food was very #yummyinmytummy (which we absolutely didn’t expect as we thought this would be a touristy-rip-off place, but it was just the opposite). The setting of the restaurant felt like a resort, they even have a swing (Bali famous) inside the restaurant. GIRIDHARI VEGETARIAN RESTAURANT (NEAR GARUDA WISNU): There are 5-star-IG-worthy kind of restaurants, and then there are a-hole-in-the-wall kind of restaurants like this one, ones which leave you craving for more, even long after your vacation is over. 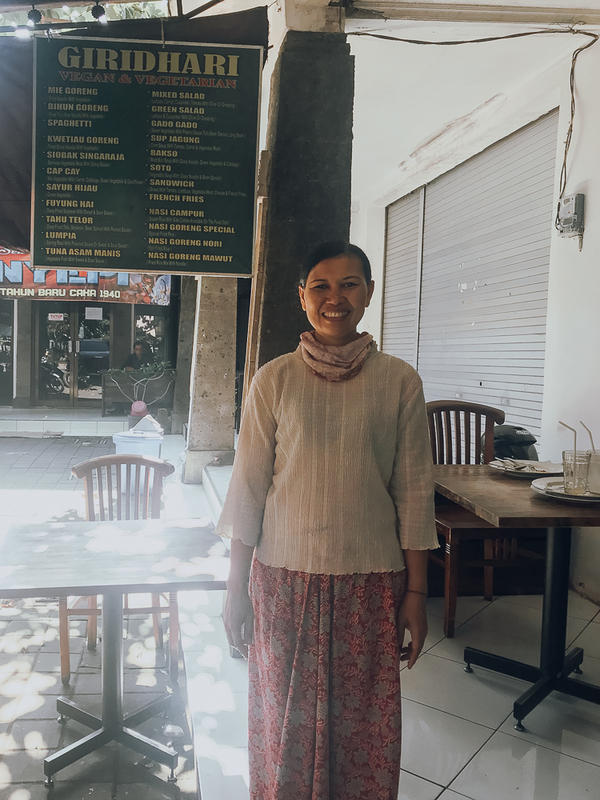 Puspa, who is the owner of the place is also the cook and one of the most humble people we have met. 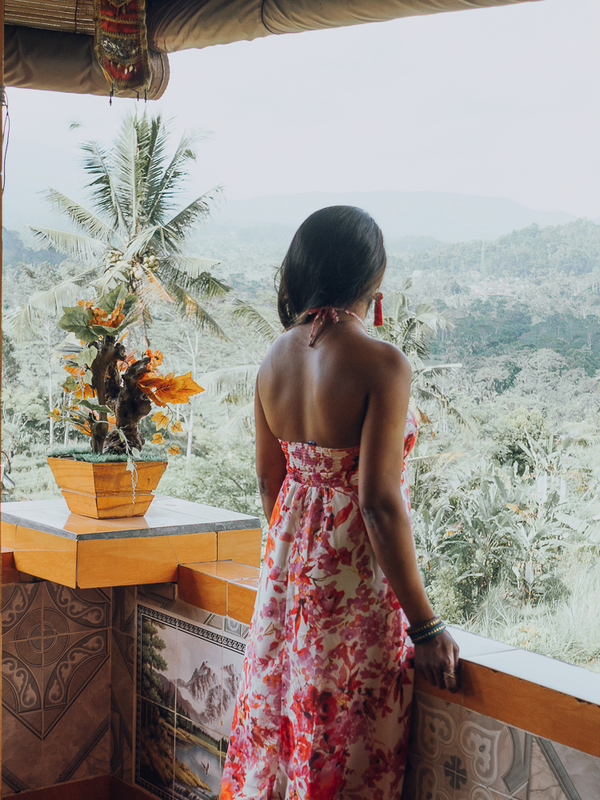 And she’s also the one who makes the most authentic, the absolute best Balinese dishes that hands down beats all 5-star restaurants. The food she made was so damn delicious that we spent way more time over there than we anticipated to, eating way more than our tummies could handle (but hey, when your taste buds are greedy you just gotta give in, and we even ordered more food to-go). I am so damn glad that we had Garuda Wisnu (GW) on our itinerary in Bali, because… I wouldn’t mind if we missed GW itself but I would be so devastated if we never tried Puspa’s food. 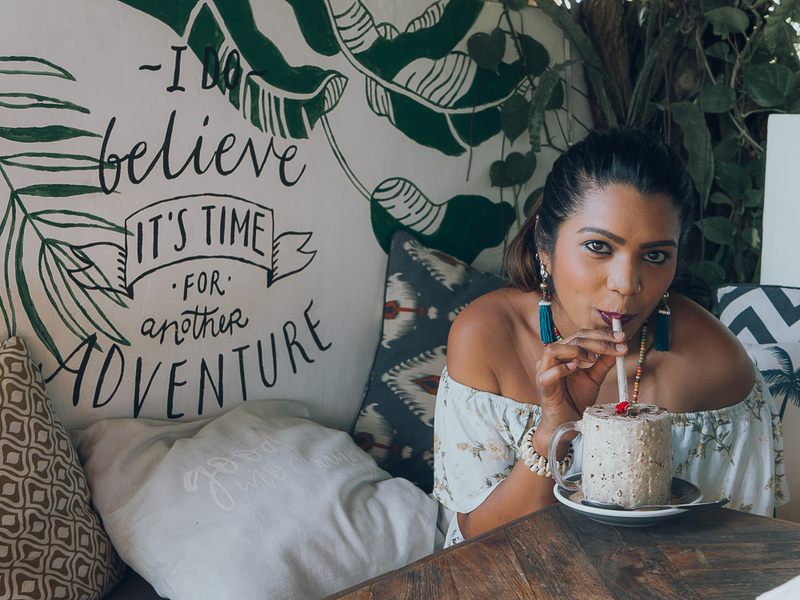 If there is ONLY one place you can eat at in Bali, then it better be this one, or you are missing out!!! Thanks again to the hubs for this find. 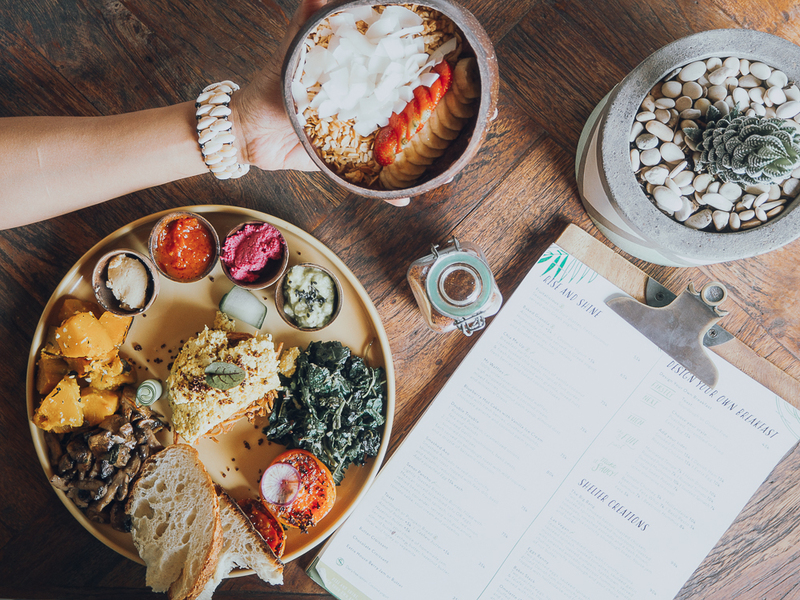 WATERCRESS CAFE: Exactly where we needed to eat to feel refreshed and rejuvenated after our first day strolling in Ubud town in Bali’s soaring afternoon temperatures. Every dish and drink we ordered here was so freakin-delicious that when we stayed in Seminyak we also went to the one over there to pack some food for the road for our day trips (something we highly recommend you do to take full advantage of eating at as many restaurants as possible). 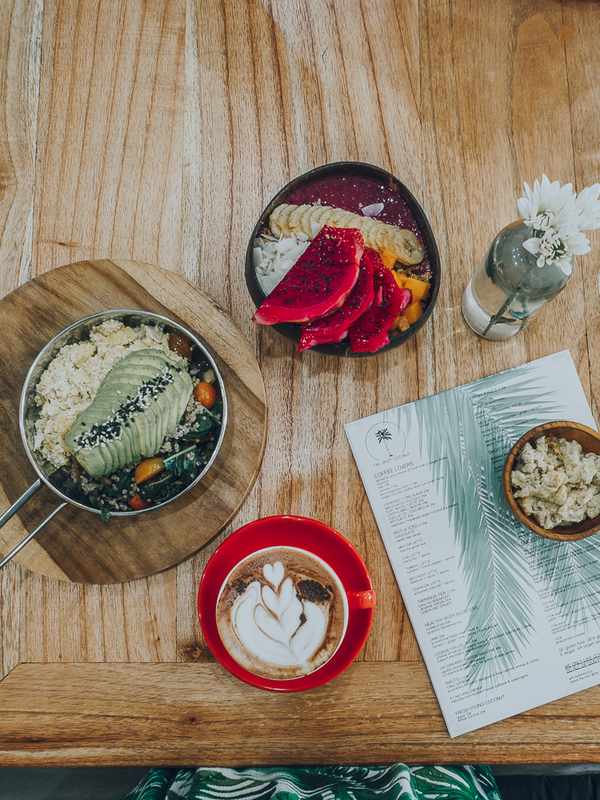 NALU BOWLS / NALU BOWLS SHELTER CAFE: With a quaint shack on the lower floor and a more hip rooftop upstairs in partnership with the Shelter cafe, you get to enjoy the best of the both worlds, i.e. 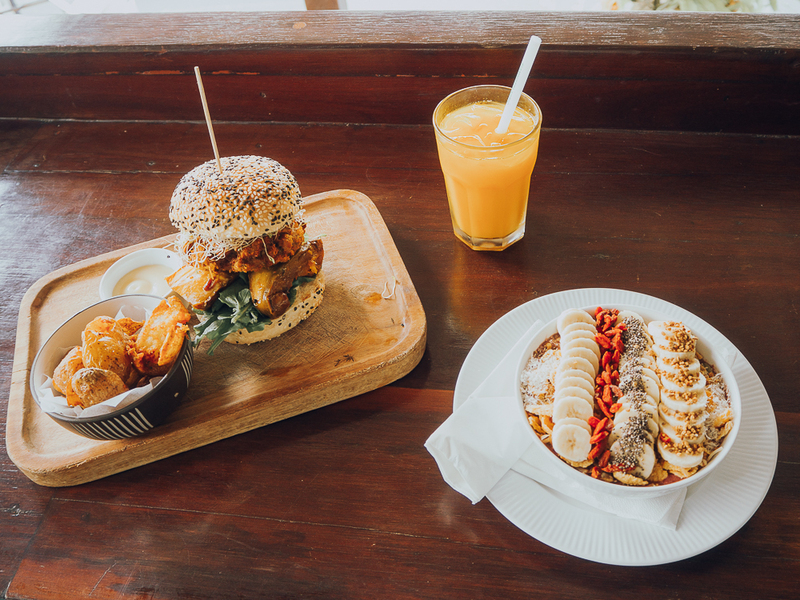 order from both their menus - a bonus for a really long wait (something you should be prepared for at most restaurants/cafes you go to in Bali). Besides the food itself, you can never tire of clicking way tooo many photos of this uber-chic place. 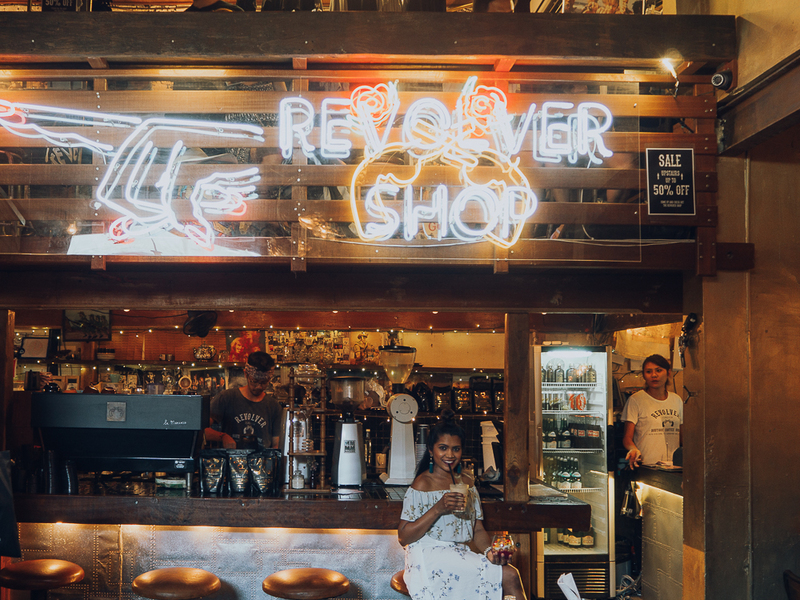 REVOLVER ESPRESSO: This cafe is located in the heart of Seminyak and you could totally stop by during any time of the day and you won’t be disappointed. 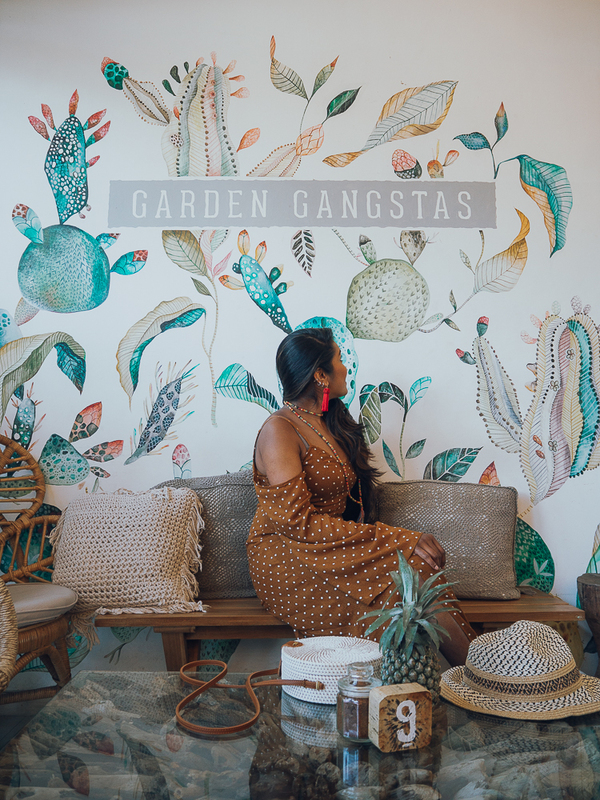 With 3 different settings and vibe between 3 different seating areas (totally my kind of scene, I mean, even their waiting area outside is pretty) this one is a must visit. 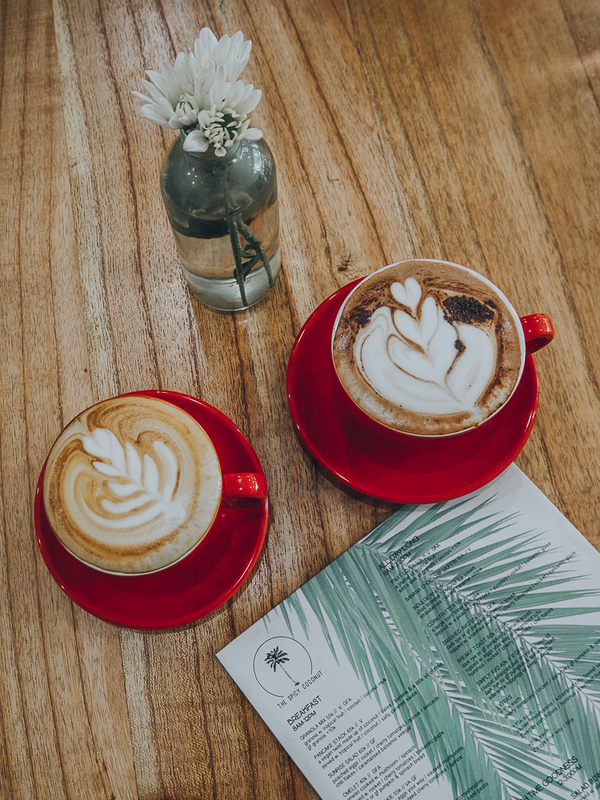 Don’t be fooled by the ‘Espresso’ in the name, they serve more than just coffee, all too yummy to miss. Setting 1/3 - pretty in pink! 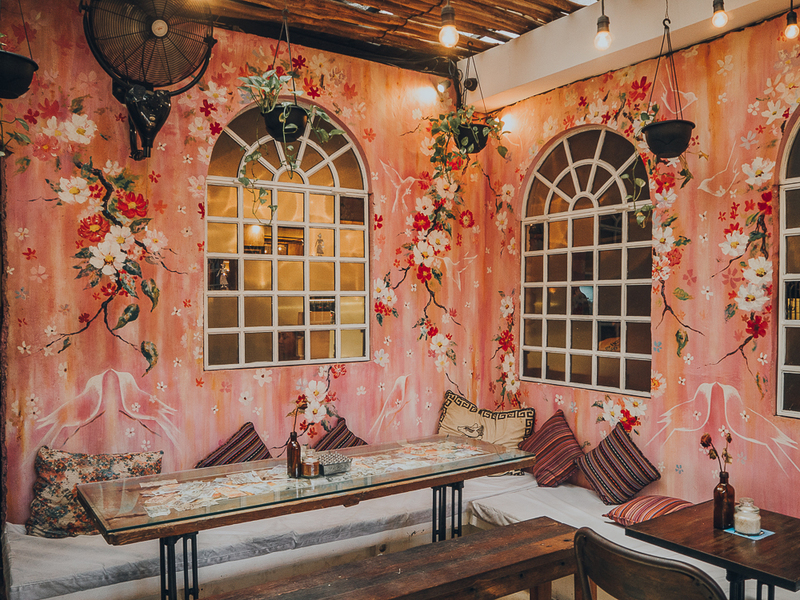 SISTERFIELDS CAFE: Again, another chic looking cafe by Seminyak Square. We got lucky with being seated right away (quite unusual for Bali) as we went in at an odd time. Vinay and I wanted a break from the acai bowls/smoothies and wanted something more savory so ordered salads and polenta fries (I know, its all about balance right hehe) and we were extremely pleased with our decision. BOSSMAN: It is quite a small cafe right next to Sisterfields Cafe. But their burgers were one of the best we have had. 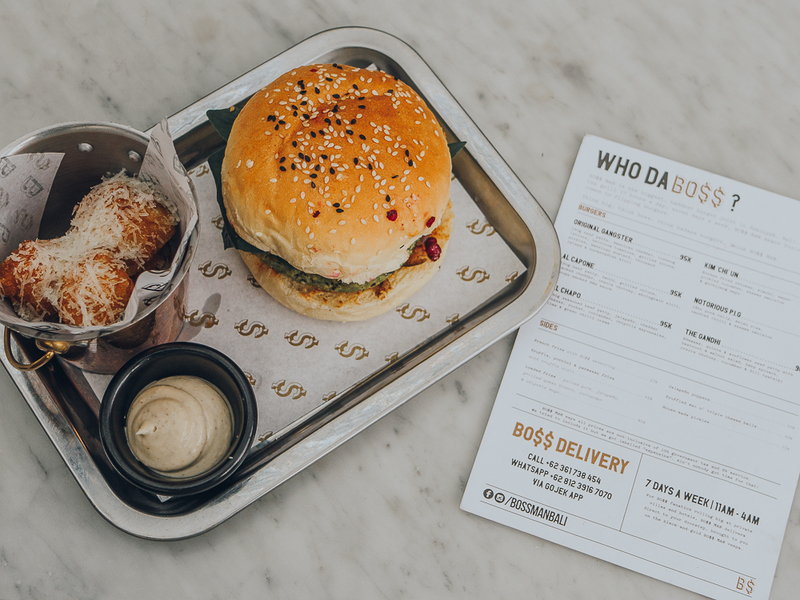 Even the sauce they served with the burger was so tasty that we kept asking for more, just because… It seems like Bali can do no wrong when it comes to food, no matter what you order. This is literally making me hungry right this minute, ugh! 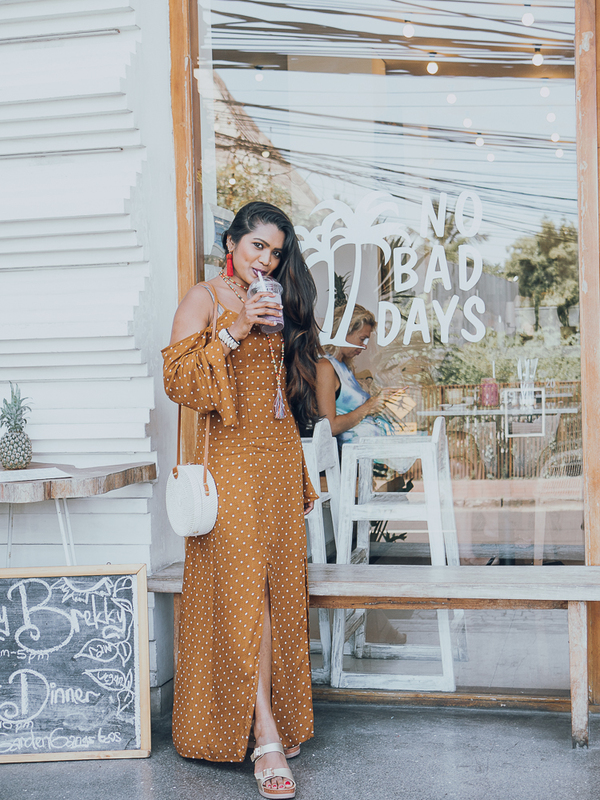 THE SPICY COCONUT: This place is everything that Instagram lately screams of (I know, it's sad that everything these days is all about IG, but who am I to complain), the colors, the decor, and the simple yet chic vibe. Sadly, they seemed to have now closed shop in Bali and have moved to the land down under (maybe a visit to Aussie land is in order?). 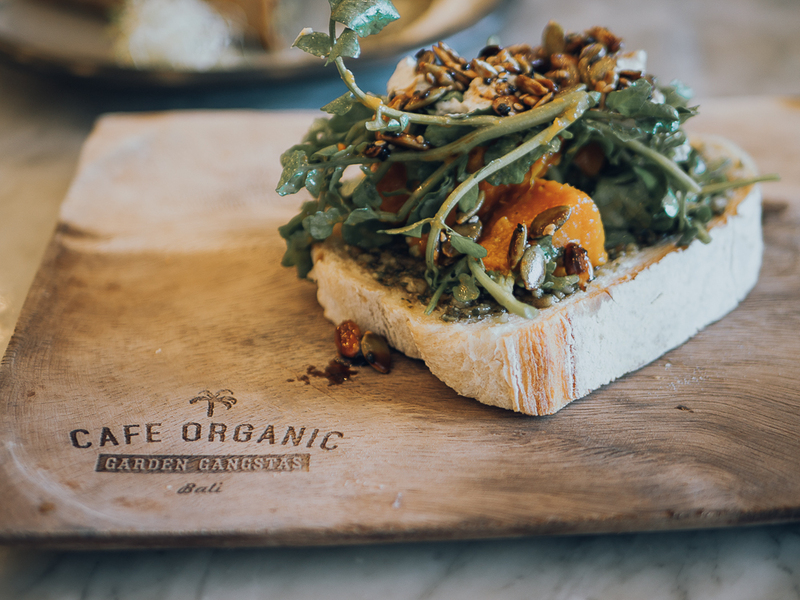 CAFE ORGANIC BALI: Honestly, I never wanted to leave this place. 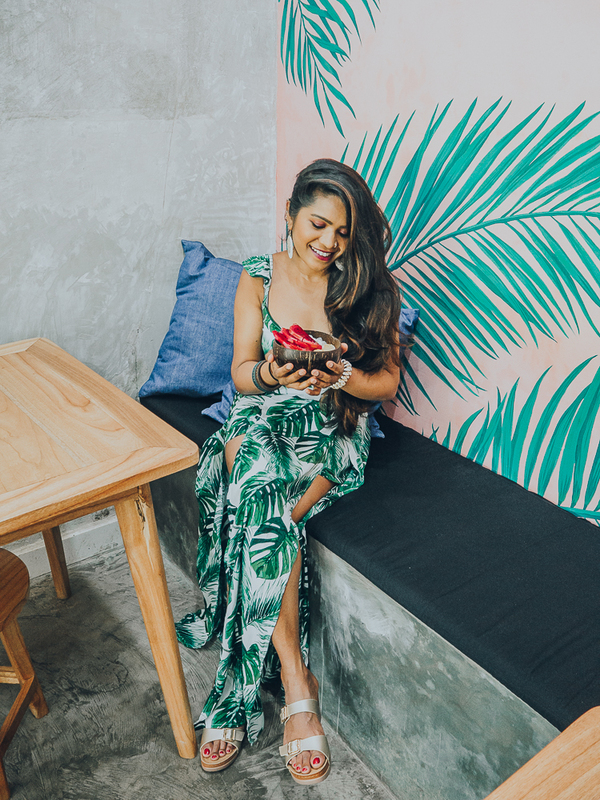 It was both #decorgoals and #foodgoals. Loved every single thing about this place, simply superb! And I really really wanted to order one of everything on their menu, but then again, neither the tummy nor the hubby agreed, smh :P I would happily eat over there at least once (if not more) every single day. 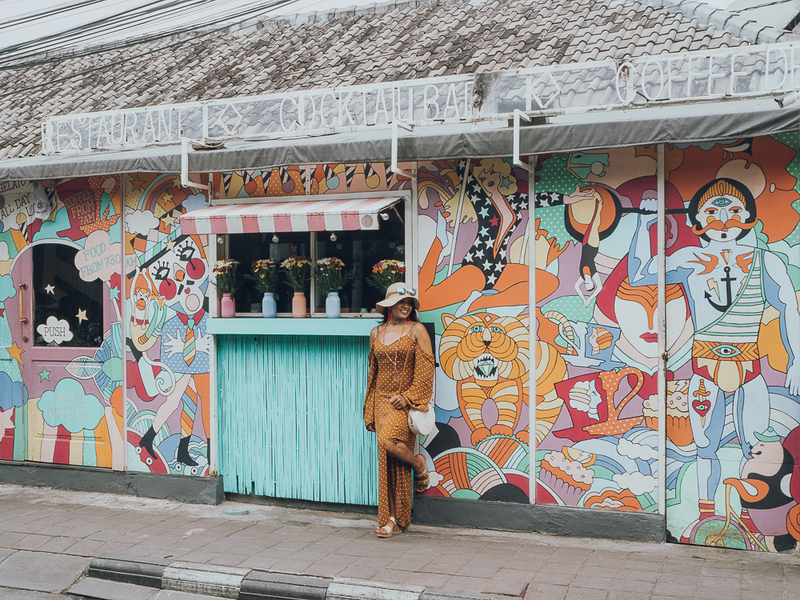 SEA CIRCUS BALI: If you happen to walk past this cafe there is no way you wouldn’t stop, drop, and snap a picture (or 21453 pics!). 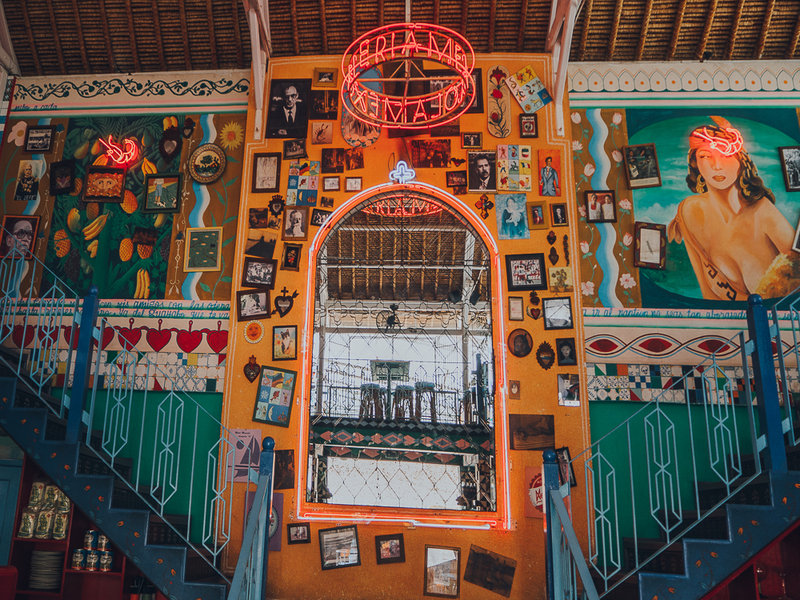 And if you happen to stop by outside to snap a pic there is no way that you wouldn’t go inside to have a look at their menu and order a bite or two. Alas, there was a long wait and we were short on time, so we did the former and skipped the latter. MOTEL MEXICOLA: It was our last stop right before we headed to the airport. 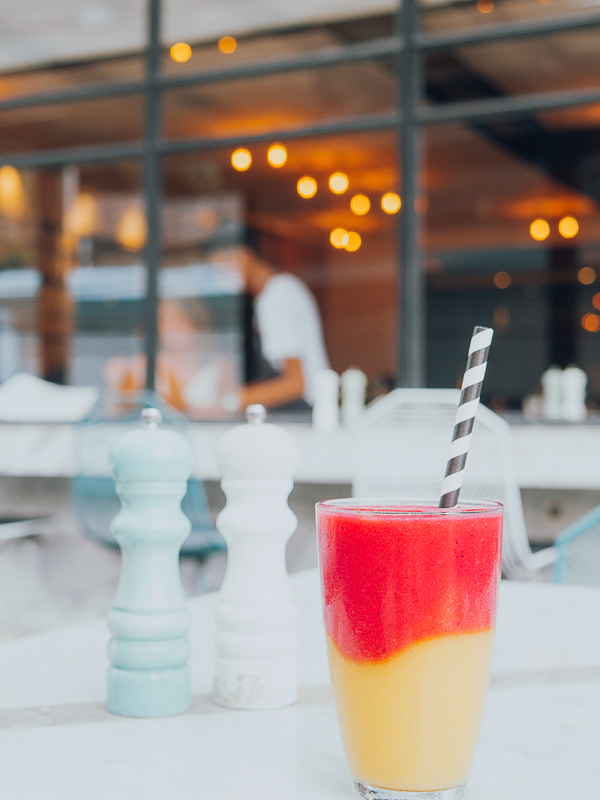 While the decor is to die for, and the food oh-so-delicious, their staff and their drinks definitely need a lot more work to match the other 2 aspects. 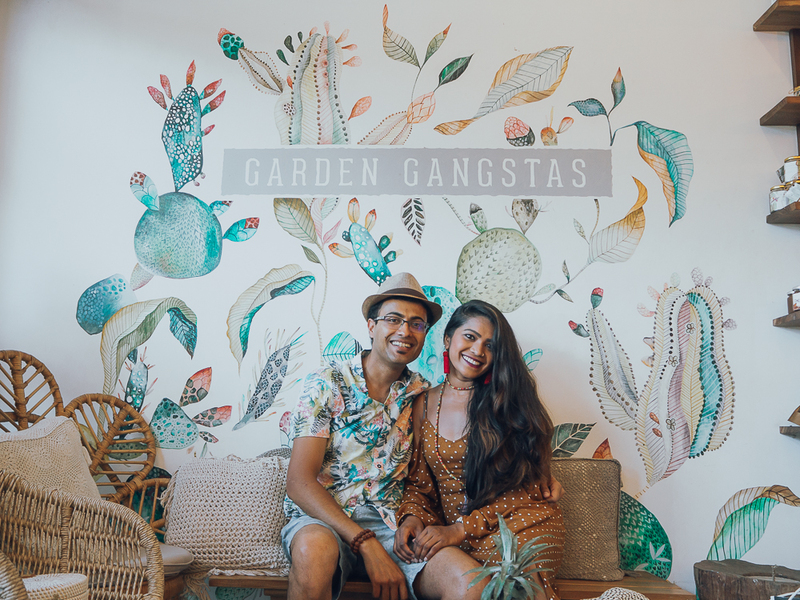 This was the only place in all of Bali where Vinay and I felt that the customer service was not up to par with Bali standards (given that every single encounter of ours with Balinese people up until now was simply outstanding)! 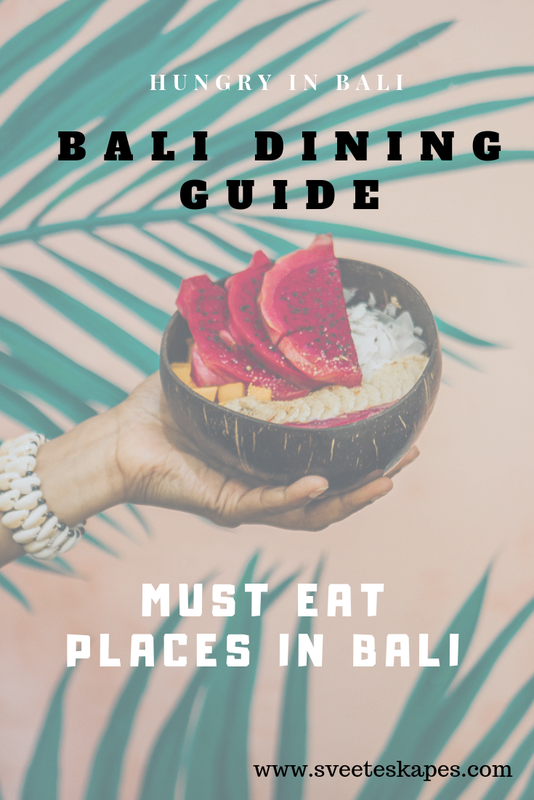 Well, there you have it, some best of the best restaurant/cafe recommendations in Bali. 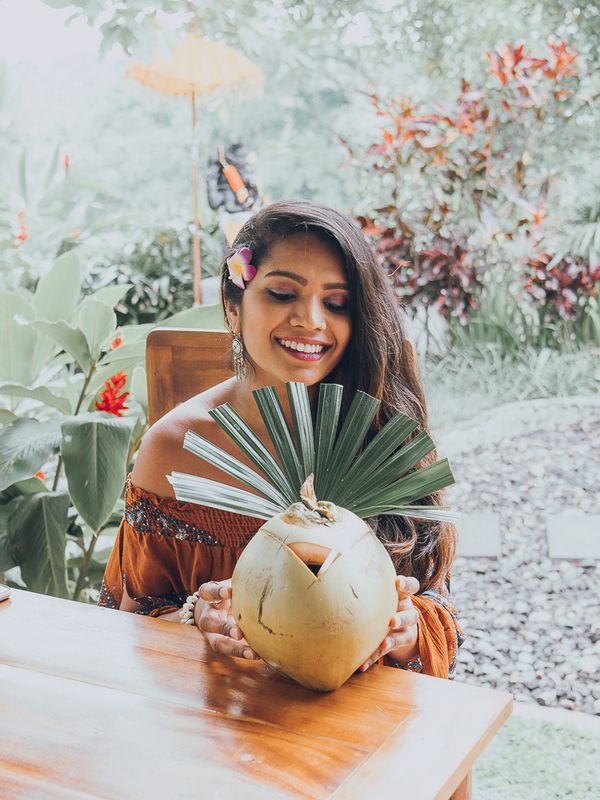 And I have to say that being vegetarians Bali is one vacation destination where we didn’t have to think twice before walking into any restaurant or cafe wondering if we were going to find something decent to eat or not. 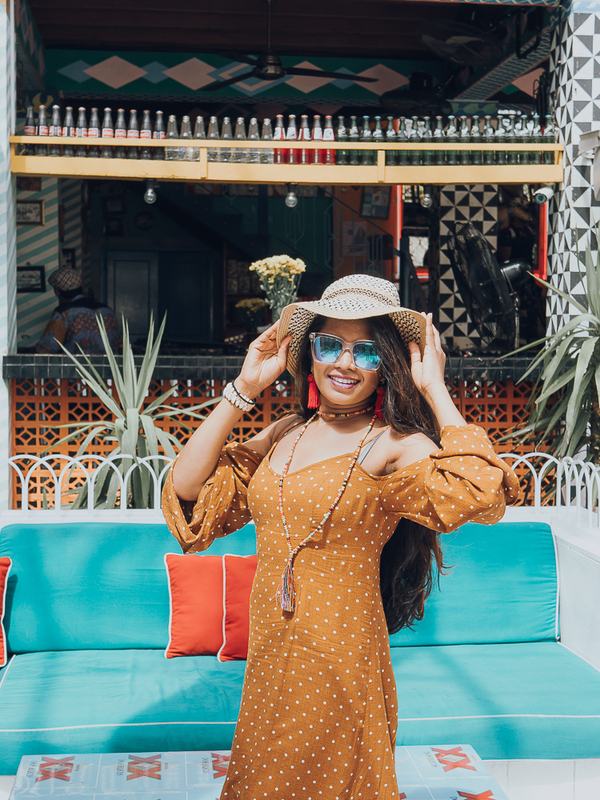 And more often than not we left wanting to order more items on the menu but the tummy just wouldn’t co-operate (how will it when you binge eat, all day, every day? haha).